“The design responds to Lambeth Council’s aspirations for a district centre for Vauxhall by creating a vibrant new public square adjacent to the busy rail, underground and bus interchange. The proposal also accommodates TfL’s existing plans to upgrade the traffic gyratory and bus station to provide greater accessibility and safety for all. 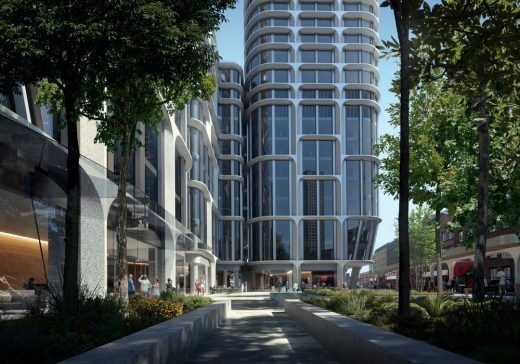 VCI Property Holding Limited is bringing forward a new proposal for the Vauxhall Cross Island site adjacent to Vauxhall Station that provides a hotel and office-led scheme, alongside new residential and retail uses and improvements to the public realm. The proposals respond to Lambeth Council’s aspirations for a district centre at Vauxhall by providing a mix of employment-generating and active uses on Bondway, as well as a new public square accommodating Transport for London’s (TfL) emerging gyratory and bus station plans. Vauxhall Cross Island: The site is located adjacent to Vauxhall Underground station and is bounded by Parry Street (to the south), Bondway (to the east) and Wandsworth Road / Albert Embankment (to the west and north). The Island lies in a central and important location, adjacent to existing transport links at the gateway to Vauxhall from the north. 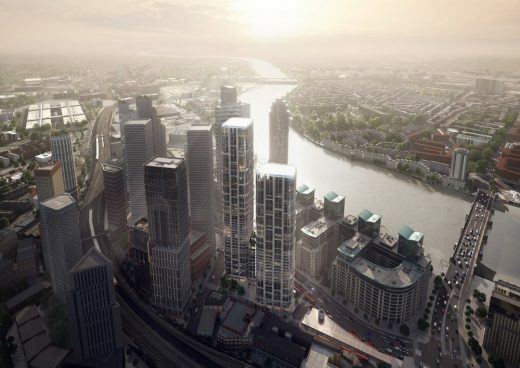 The site is within the Vauxhall/Nine Elms/Battersea Opportunity Area, identified in the London Plan as having the potential to accommodate high-density development to provide substantial numbers of new jobs and homes. Vauxhall: The borough is undergoing a period of transformation with a number of other significant developments under construction or planned for the area. In part, this is due to the Vauxhall, Nine Elms, Battersea Opportunity Area Planning Framework (OAPF) which allows for tall buildings of high quality to form a cluster around Vauxhall Cross, and also the Vauxhall Supplementary Planning Document, which sets out Lambeth Council’s vision for the regeneration of Vauxhall to create a thriving district centre. Alongside this guidance, TfL is reviewing its proposals to alter the Vauxhall bus station and gyratory and has recently submitted new plans to Lambeth Council. Together, these changes have re-framed the vision for Vauxhall and our new proposals for Vauxhall Cross reflect this. 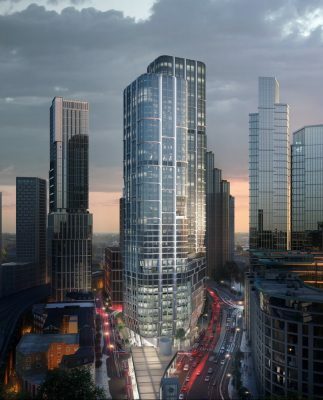 We now have the opportunity for a new approach to Vauxhall Cross which includes a new district centre for Vauxhall and also promotes employment opportunities and economic growth in the area. The new proposal prioritise increased office and commercial space alongside a new Hilton Hotel that will be a major tenant for Vauxhall and will make a significant contribution to providing employment opportunities in the borough. 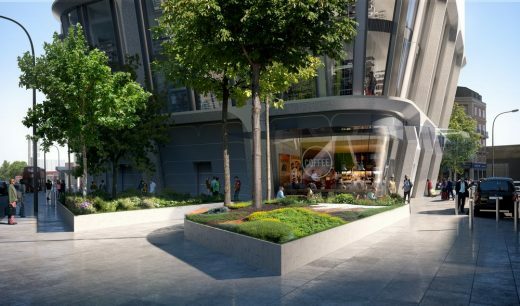 The proposed scheme is estimated to create approximately 2,000 jobs across the hospitality, retail, building management and office-based sectors. TfL have separate plans to build a gyratory and bus station scheme next to Vauxhall Station. Whilst the schemes are independent of each other, the delivery of TfL’s proposed gyratory and bus station scheme requires land owned by VCI Property Holding to be implemented. The previously consented scheme for the site would have prevented the proposed gyratory changes. 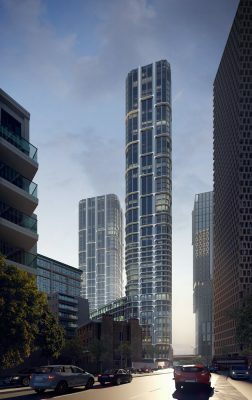 Reviewing the design of the buildings enables a scheme that will sit better within the context of the emerging Vauxhall cluster. The design works with the height of the other proposed developments in the area. – Approximately 7,000 sq ft of shopping/dining at street level. 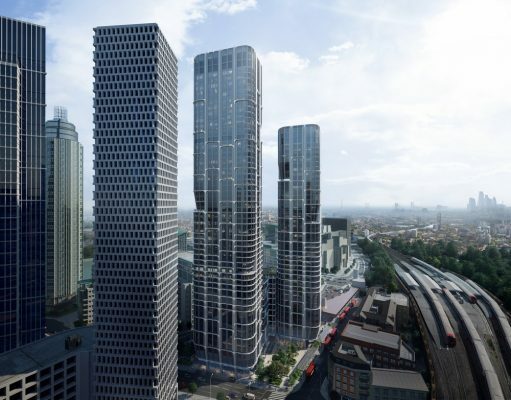 The buildings proposed for Vauxhall Cross respond to the emergence of the cluster of tall buildings proposed to the south of the site and have been designed to work with the other buildings, through its rectilinear form, grid-based façade and materials. Their arrangement places the taller building to the south of the site, adjacent to the other tall buildings and the centre of the cluster. The north building is shorter and marks the northern gateway to Vauxhall. Joining the two buildings with a ‘podium’ building of 10 storeys helps to create more defined street edges to the north, west and south of the island site and frames the new public square. The proposal provides a new public square and coordinates with the TfL gyratory and bus station scheme to accommodate new street-level pedestrian crossings and wider pavements, providing improved pedestrian environment and experience; helping to create a safer and more legible streetscape, accommodating the increasing pedestrian activity between Vauxhall Station and Nine Elms. The new square creates a generous public space next to the primary pedestrian route from Vauxhall Station to the south and adjacent to TfL’s new bus stops located on Bondway, giving an opportunity for the square to host a programme of popular community events and activities throughout the year, from markets to street entertainment and performances. We want to work with the community to identify how the square can be used to provide the greatest benefit to Vauxhall and what types of activities or events can be held here. In 2012, former site owners, Kylun Ltd, received planning permission for the redevelopment of the Vauxhall Cross Island site adjacent to Vauxhall Station. VCI Property Holding Limited has since acquired the site from Kylun Ltd, with the intention of bringing forward a new planning application for the site. 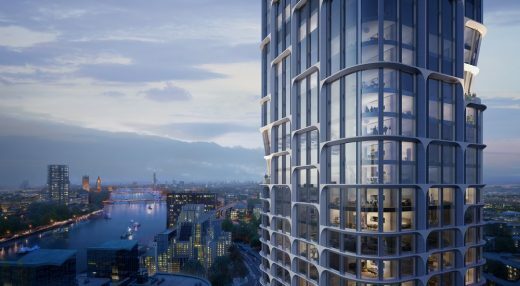 The consented scheme provided a mixed-use development, incorporating new residential, a hotel, retail, leisure and community uses at the Vauxhall Island site. 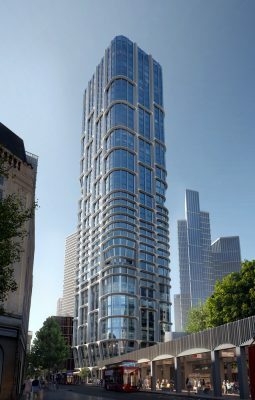 The scheme was originally refused by Lambeth Council due to their concerns regarding the design and form of the buildings, and the assessment that the proposed scheme did not support the creation of a district centre for Vauxhall. This scheme gained planning permission through an appeal process. VCI Property Holding Limited purchased the site with the intention of bringing forward the consented scheme, however, after discussions with Lambeth Council and TfL, a new scheme has been designed which addresses some of the council’s earlier concerns.